A pipeline company was convicted of nine criminal charges Friday for causing the worst California coastal spill in 25 years, a disaster that blackened popular beaches for miles, killed wildlife and hurt tourism and fishing. 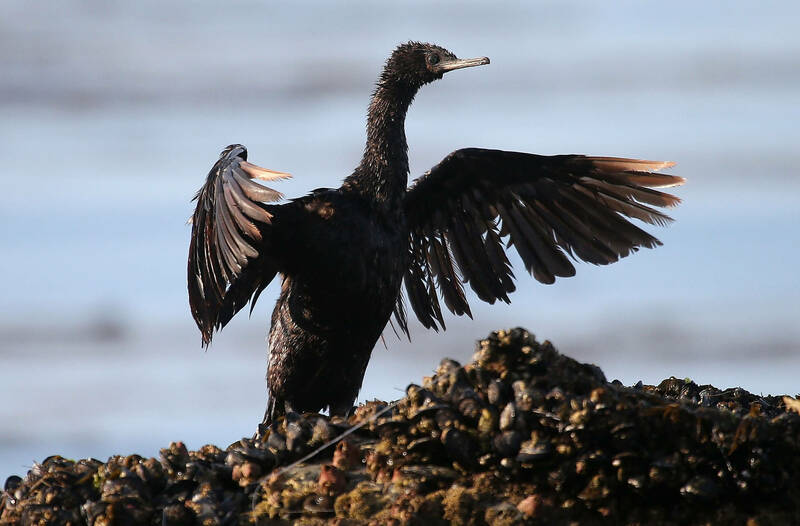 A Santa Barbara County jury found Houston-based Plains All American Pipeline guilty of a felony count of failing to properly maintain its pipeline and eight misdemeanor charges, including killing marine mammals and protected sea birds. California Attorney General Xavier Becerra said in a statement that Plains' actions were not only reckless and irresponsible but also criminal. "Today's verdict should send a message: if you endanger our environment and wildlife, we will hold you accountable," he said. Plains said in a statement that the jury didn't find any knowing misconduct by the company and "accepts full responsibility for the impact of the accident." "We are committed to doing the right thing," the company said. The company said its operation of the pipeline met or exceeded legal and industry standards, and believes the jury erred in its verdict on one count where state law allowed a conviction under a standard of negligence. "We intend to fully evaluate and consider all of our legal options with respect to the trial and resulting jury decision," Plains said. The company is set to be sentenced on Dec. 13. Because it's a company, and not a person, Plains only faces fines, though it's unclear how steep the penalties could be. Plains had faced a total of 15 charges for the rupture of a corroded pipeline that sent at least 123,000 gallons of crude oil gushing onto Refugio State Beach in Santa Barbara County, northwest of Los Angeles. Plains pleaded not guilty to the charges and accused prosecutors of criminalizing an unfortunate accident. But federal inspectors found that Plains had made several preventable errors, failed to quickly detect the pipeline rupture and responded too slowly as oil flowed toward the ocean. Plains operators working from a Texas control room more than 1,000 miles away had turned off an alarm that would have signaled a leak and, unaware a spill had occurred, restarted the hemorrhaging line after it had shut down, which only made matters worse, inspectors found. The spill, two weeks shy of Memorial Day, closed beaches with popular campgrounds for two months and put a crimp in the local tourist economy and fishing industry. It also crippled the local oil business because the pipeline was used to transport crude to refineries from seven offshore rigs, including three owned by Exxon Mobil, that have been idle since the spill. Last year, Denver-based Venoco, declared bankruptcy, in part because it wasn't able to operate its platform. The state is now responsible for plugging and decommissioning Veneco's wells at an estimated cost of $58 million. That doesn't include the eventual cost to remove the enormous structure. 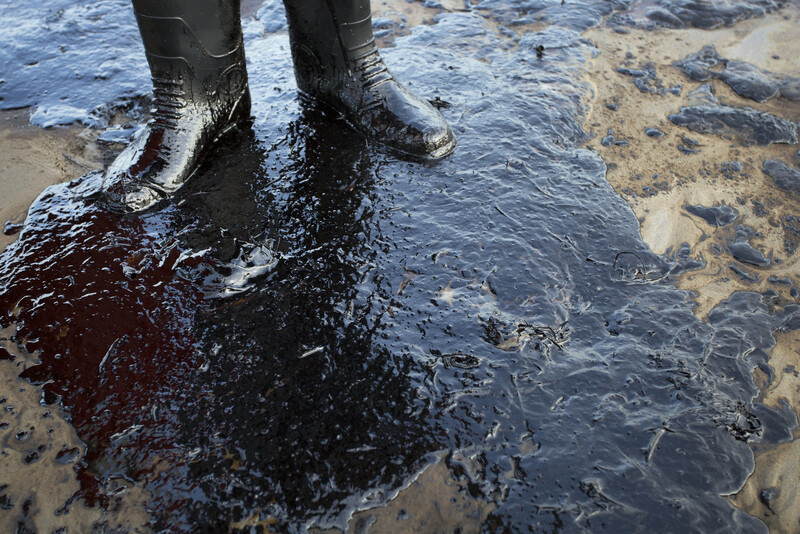 Plains apologized for the spill and paid for the cleanup. The company's 2017 annual report estimated costs from the spill at $335 million, not including lost revenues. It is seeking approval to repair or rebuild its corroded pipelines. The company still faces possible fines from the U.S. government and also faces a federal class-action lawsuit by owners of beachfront properties, fishing boat operators, the petroleum industry and oil workers who lost jobs because of the spill. The pipeline that spilled has been shuttered but Plains has applied to build a new one in the same location. Kristen Monsell, oceans legal director with the Center for Biological Diversity, said in a statement that Plains can't be given "a second chance to spill again." "It's time to get dirty, dangerous drilling out of our oceans, out of our coastal areas and out of our state," she said.